Lynyrd Skynyrd have recently announced dates for their last tour. 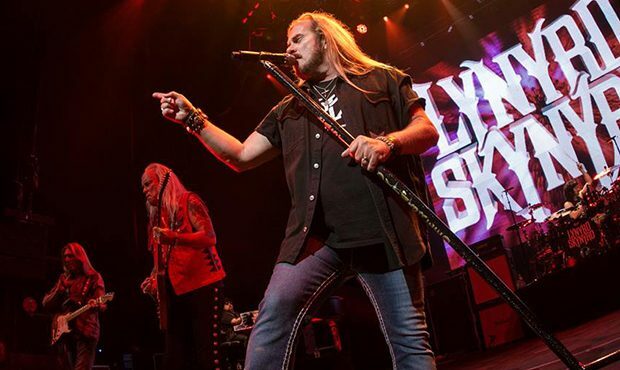 Lynyrd Skynyrd will kick-off this extensive farewell tour on May 4th at Coral Sky Amphitheater – West Palm Beach, FL. Kid Rock, Bad Company, Marshall Tucker Band, .38 Special, Hank Williams Jr., Charlie Daniels Band, Blackfoot and Blackberry Smoke will also join as special guests. Lynyrd Skynyrd will be performing across major U.S. venues – including shows in cities like Tampa, Spring, Phoenix, Mountain View, Holmdel, Wantagh, Charlotte, Bristow, Hartford, Bethel, Tinley Park, Clarkston, Toronto, Maryland Heights, Birmingham and many more. Lynyrd Skynyrd will wrap-up this farewell tour with final show at Cellairis Amphitheatre at Lakewood – Atlanta, GA on Sept. 1st. Tickets are available for sale at Ticket Hub. UPDATE: Lynyrd Skynyrd have added new dates for their ‘Farewell Tour’.